The C-Mii 1 from UK-based company Toughshield is part of an NFC handset range aimed at the services sector. The entry level candybar-style handset features a low weight and robust design and NFC functionality. 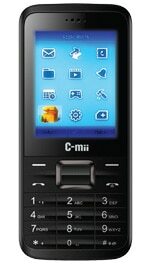 The C-Mii 1 is a Java-based device with a 200-hour standby time, and offers dual SIM slots.